Los Vascos Cabernet Sauvignon comes from the Colchagua Valley region of Chile. 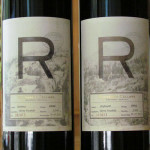 The varietal is 100% Cabernet Sauvignon and is estate grown and bottled. The producer (Lafite) suggests allowing this wine to decant for one hour before serving (see my notes below on this). Los Vascos wines blend Lafite tradition with the unique terroir of Chile to create elegant wines that bring exceptional to the everyday. I tasted the 2015 vintage of Los Vascos Cabernet Sauvignon. Typical in appearance for a Cabernet Sauvignon, Los Vascos is rustic ruby in color. The wine did let some light get through, leaving dancing red reflections on the table. A tip and spin of the glass caused the wine to coat the glass quite a bit. Legs were fairly quick to fall and wide spaced. I noticed this wine’s aroma immediately as I was pouring the wine into the glass. 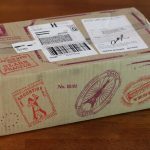 My initial sense was some spice and red berries. Up close, I noticed less of the spice, but some distinct earthiness. The red berry aromas remained noticeable along with another aroma I couldn’t quite put my finger on. After a few more sniffs and a whole lot of glass swirling, I pegged it as ripe strawberry. 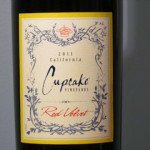 Interesting, because I rarely pick that up in a straight Cabernet Sauvignon. Hardly any sting of alcohol was noticed. Los Vascos Cabernet Sauvignon alcohol content 14.0% by volume, per the bottle. 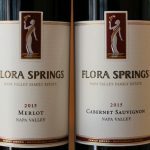 I found myself greatly impressed with this wine’s nose and was eager to give it a sip. My taste buds were rewarded! 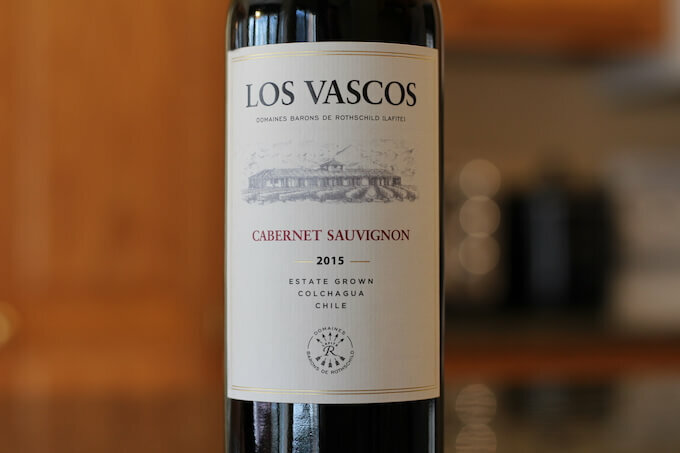 On the palate, Los Vascos Cabernet Sauvignon revealed buttery flavors of red fruits that were medium in intensity, including raspberry and the aforementioned strawberry. There was also some complexity in the taste as well, as I noted secondary herbal and vegetable characteristics. A tricky wine to quantify! 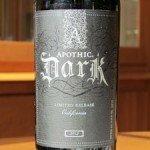 If I was to find a bit of a weakness in this wine, it would be a little extra bitterness from the tannins. 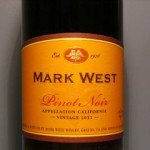 The mouthfeel starts off creamy but does transition to a little bit of graininess, with the tannins being noticeable all over the palate. A quick note, I checked the tasting notes after I wrote the bulk of this review and saw that Lafite recommends decanting this wine for a good hour before serving. I did notice that the wine softened up a bit over time, so I DEFINITELY agree with allowing this wine to decant before consuming. I also noticed that some black cherry aroma and flavor revealed itself with air and time. The wine’s finish was long, with the run-out firmly in control by the tannins. A definite dry red wine by all standards. Overall, while it wasn’t perfect, I did enjoy this wine quite a bit. Especially the aroma and flavor complexities! 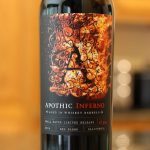 I suspect it will age fairly well and if you enjoy a good dry red, this wine won’t disappoint. Plus, in my opinion, it’s a good value Cab for the price I paid. Los Vascos Cabernet Sauvignon price $8.99. Los Vascos Cabernet Sauvignon is definitely a wine to be paired with grilled meats. Serve this up with a nice dry rubbed Filet Mignon cooked on an outdoor grill.